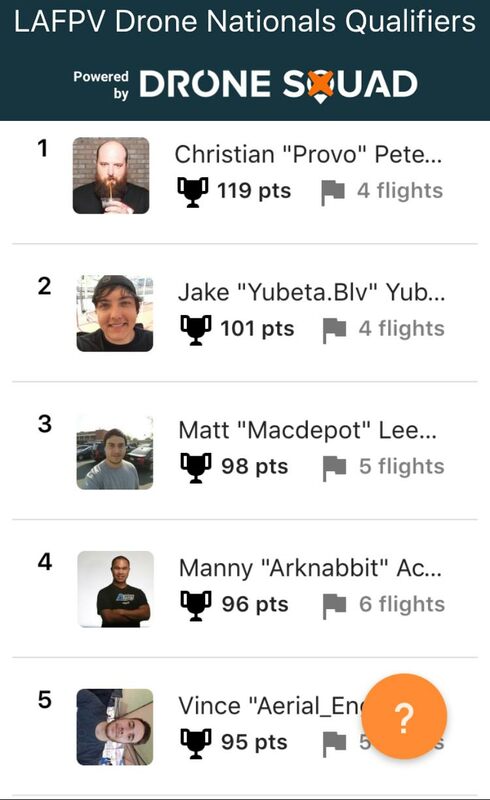 The Drone Squad team was stoked to power the LAFPV / FPV ACES race event in Los Angeles. It was so hot that we measured the astro-turf at 160 degrees and our judging monitors kept on resetting! But heat aside, it was a great race to watch. The points format (one point per gate, cumulative through all rounds) and the freedom to skip a gate (not flags) introduced some really interesting race strategies. 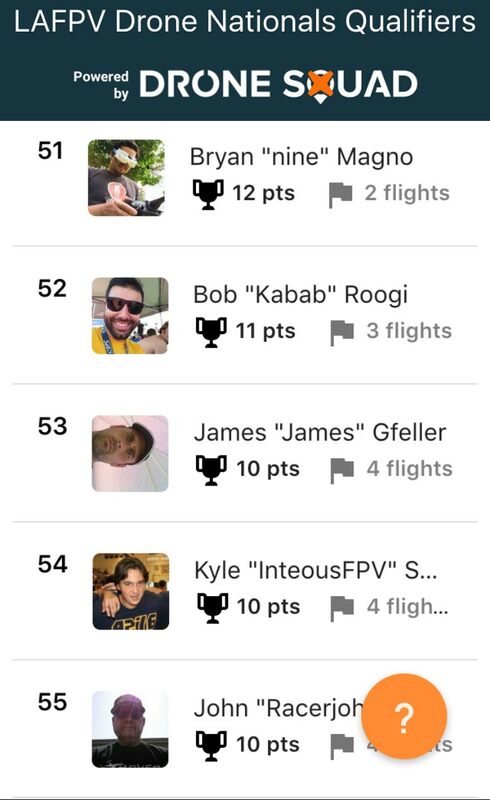 And of course, everyone got to follow the standings live in the Drone Squad app. 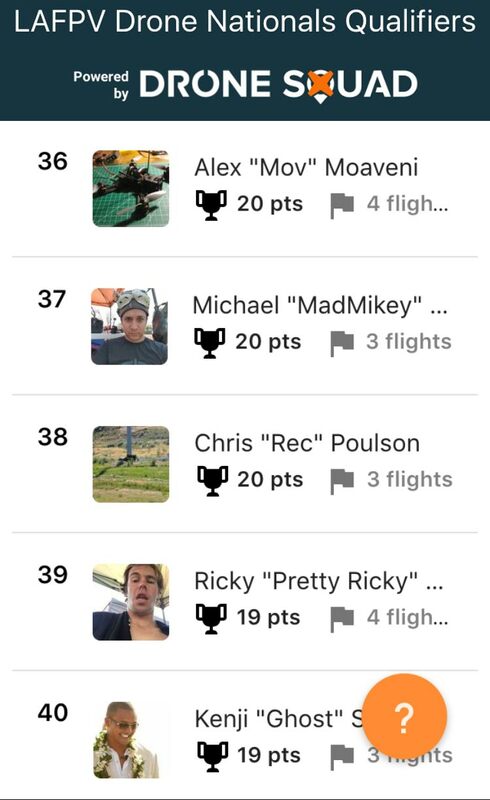 As announced the top 5 racers would get a bid to Drone Nationals. However, a few of those top 5 already have a bid so pilots finishing 6, 7th, etc may have a chance. Stay tuned, IDRA will be making an announcement shortly and we will post an update here. 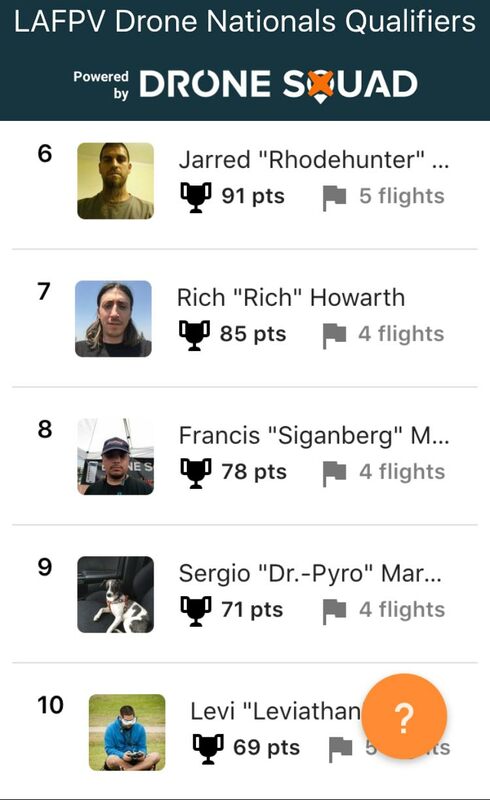 IDRA UPDATE: Christian and Jake Yubeta both qualified through previous races so Jarred and Rich (6th and 7th place) will receive 2016 Drone National certificates.